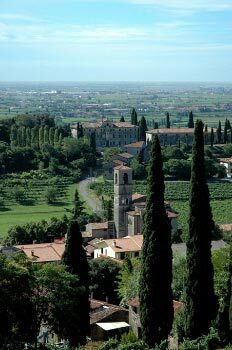 Custoza is another territory rich in history, traditions, wine and gastronomic products located in the southern part of Lake Garda. Nowadays Custoza is famous for its white wine ( white Custoza ) made with the Trebbiano and Garganega grape variety and for the beauty of its hills. The Bianco di Custoza is a dry , smooth wine with bitter almonds , fruity and flowery touches and a pleasant and persistent aftertaste. 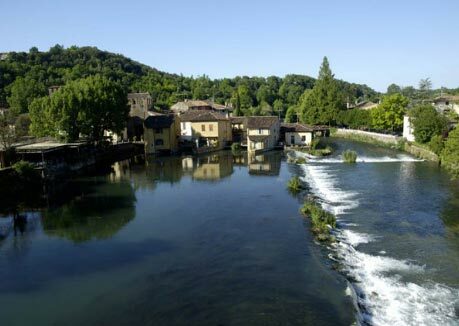 Custoza white wine is perfect with fish dishes or as an aperitif and best drunk within the year after its harvest. The raisined ‘passito’ is an elegant and finely balanced dessert wine underscored by a flavor reminiscent of jam and spices. 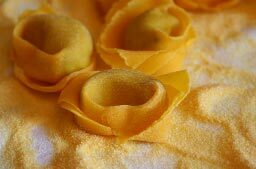 A tour in the wineries of the Custoza area can include a stop at the beautiful village of Borghetto, where the famous tortellini ( dumplings with meat filling) can be tasted.